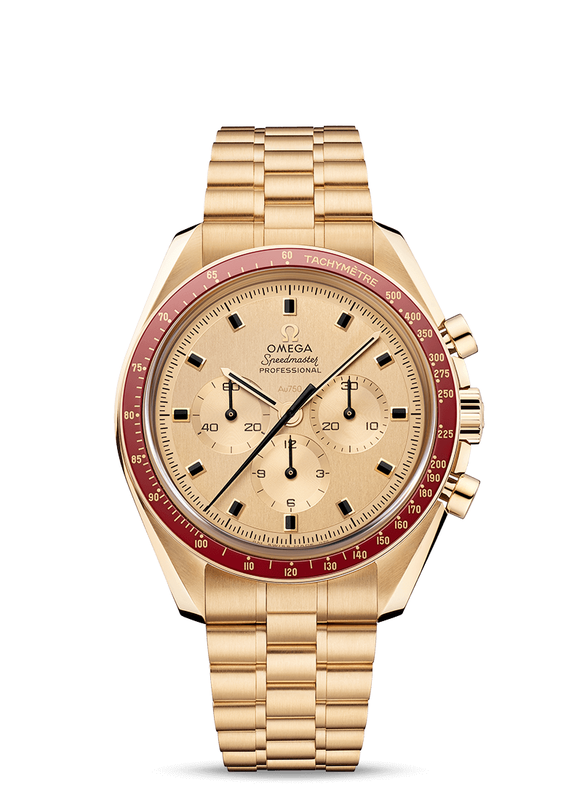 The Omega Speedmaster Professional Apollo 11 50th Anniversary is created in honor of the 50th anniversary of the Apollo 11 mission. 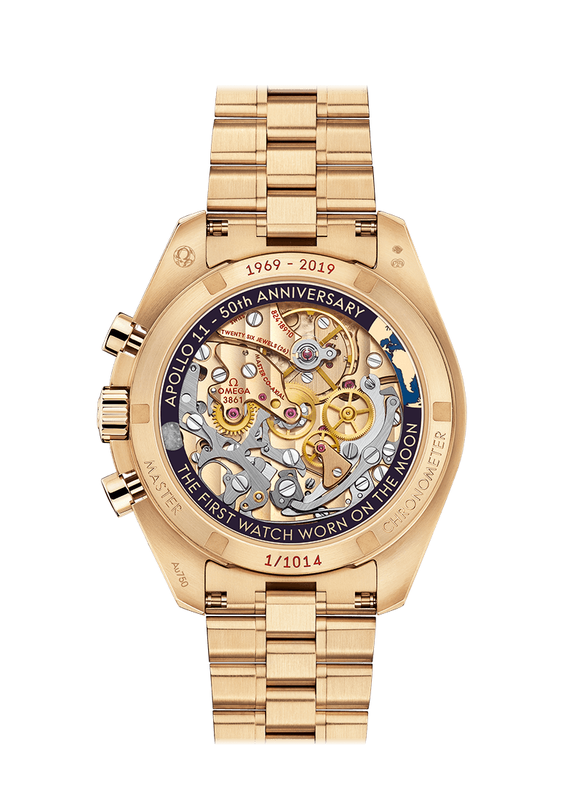 Inspired by the BA145.22 of 1969-1973, it features a 'Moonshine' yellow gold case and a matching bracelet. The dial too is made of this proprietary (18k) alloy, while the bezel insert is made of burgundy ceramic. It is the first Speedmaster to be powered by the new caliber 3861, which updates the well-known hand-wound chronograph movement with a co-axial escapement and a silicon balance spring.